Oxford Lieder Festival's new series of early-evening song recitals, Song at Wolfson, launches on Thursday 26 April 2018 at 6pm at the Leonard Wolfson Auditorium, Linton Road, OX2 6UD. The series will showcase outstanding singers who are in the early stages of highly successful careers and international stars in the making. For the first concert, William Morgan (tenor) and Sholto Kynoch (piano) will be performing Schumann's Kerner Lieder and songs by Duparc. 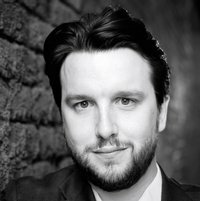 William Morgan is a Harewood Artist at English National Opera, and an alumnus of the Oxford Lieder Mastercourse. Further ahead Martin Hässler (baritone) and Sholto Kynoch perform Schubert's Die schöne Müllerin (17 May). Full details from the Oxford Lieder Festival website.